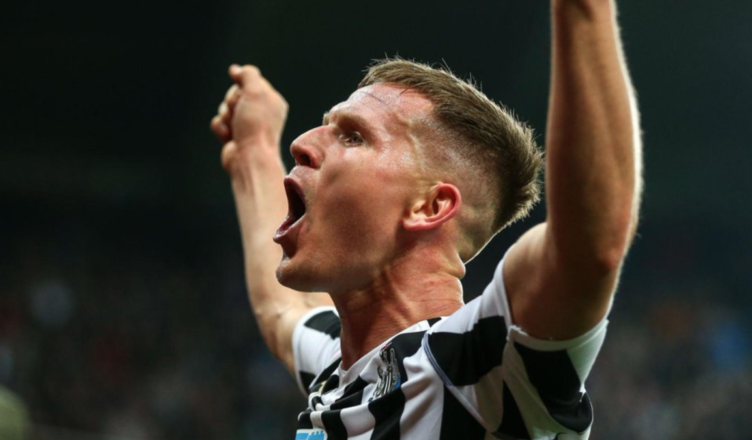 Matt Ritchie drools over ‘priceless’ NUFC player – & reveals why Almiron will be a fan favourite – NUFC blog – Newcastle United blog – NUFC Fixtures, News and Forum. Matt Ritchie has hailed the ‘priceless’ Salomon Rondon, revealing how the big Venezuelan has been ‘fantastic since the day he walked through the door’ – both on and off the pitch. The former Bournemouth winger – who grabbed a 93rd minute equaliser over the weekend – also singled out Miguel Almiron for praise; a player he’s backing to be a big fan favourite. “He’s a great character. His goals are priceless. He really has been priceless, with his 10 goals and 5 assists seeing him play a big part in just shy of 50% of our goals this season – and this doesn’t even cover his hold up play, his character on and off the pitch and his constant battling and brilliant movement up top. We’ve seen Almiron’s pace, energy and brilliant movement so far, but a stat emerged over the weekend revealing that he’s created more chances than any other Premier League player since he arrived in England. Rondon has been a revelation and Almiron looks to be the missing part of the jigsaw up top, with both also helping get the best out of Ayoze Perez. With us finally starting to build a cohesive and dynamic attack, let’s pray Rafa remains and Rondon is signed permanently.